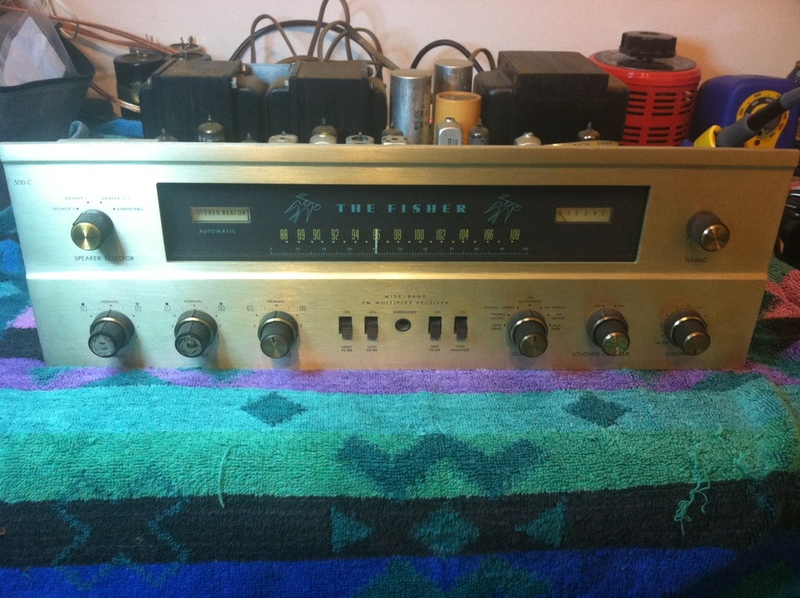 Recently I picked up this Fisher 500c from a local friend who wants the receiver completely restored and brought back to factory spec. 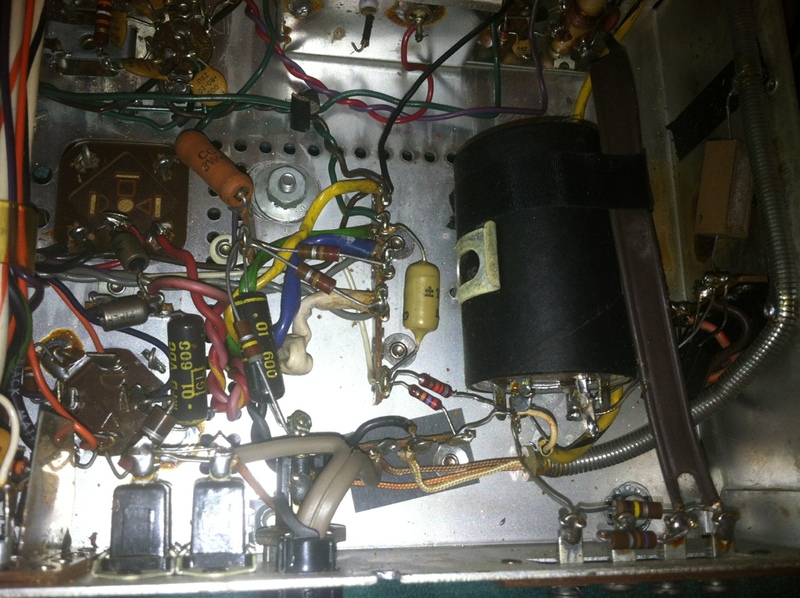 It is one of my favorite tube receivers with a 12ax7 front end and 7591 outputs. This is one of earliest multiplex FM sections. This restoration will take considerable time and will be broken into several sessions. All restoration work should be done is sections with testing in between to not be way ahead if a problem arises. 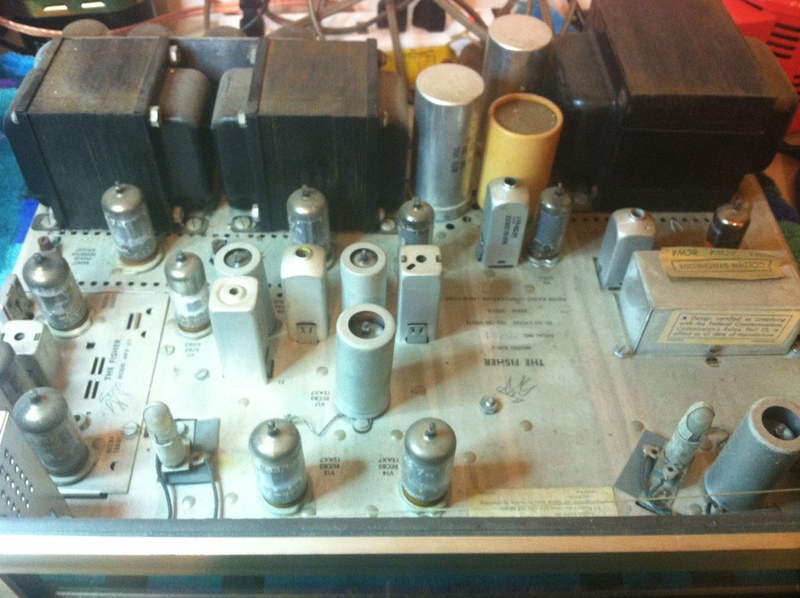 The game plan for this receiver is first test to see what is working correctly and repair any issues before starting the refurbishing process. 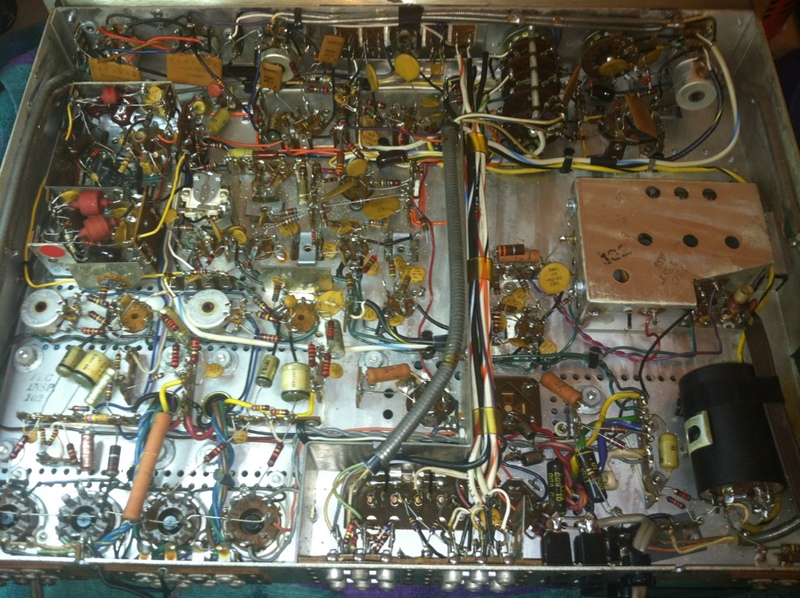 Next, install cathode resistors to measure bias at each tube and provide limited protection for the output transformers. Coupling capacitors will be changed and replaced with 0.1uf/600v polypropylene film caps along with the value grid resistors. 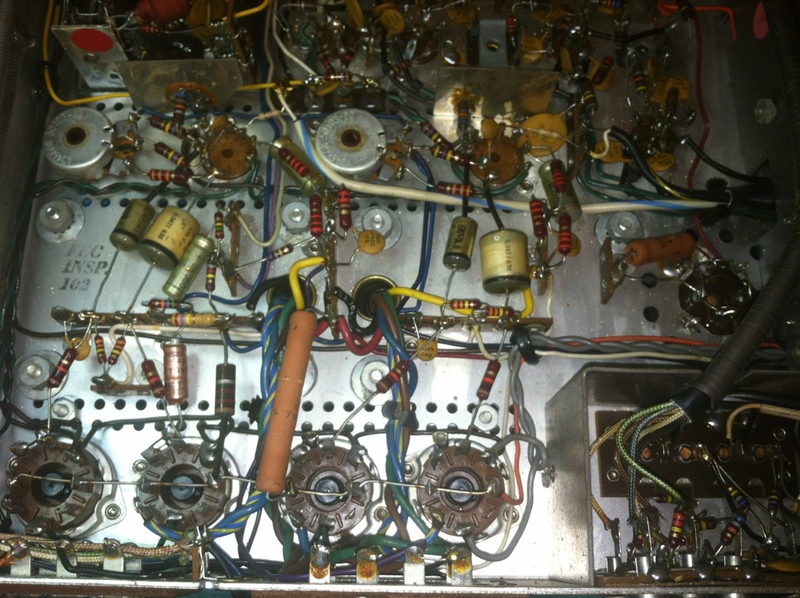 The power supply will be overhauled with new electrolytic filter supply caps, rectifier, diodes, and a potentiometer modification installed to adjust bias. All electrolytics throughout the receiver will be changed out and caps in preamp and phono sections will be replaced with film caps. Multisection caps will be replaced with individual caps under the chassis or cans restuffed. Valves will be tested and replaced as needed. Controls cleaned and lubricated. Faceplate and chassis cleaned and polished. New brass knob caps installed on controls. Original wood cabinet will hopefully be repaired and refinished. Whew…. This process is very time consuming and parts are fairly expensive as the capacitors are mostly high voltage. Once completed though this will be one of the best pieces of audio history. So on to first impressions. This is a later model 500C with a serial number in the 70000s. It has a silicon rectifier unlike the early model dangerous selenium rectifiers. Also being towards the end of the production period it has W.German Ero Foil coupling caps which will be replaced for reliability but very cool. The chassis has its usual coating of dust and slight oxidation but should clean up great. The outputs are original Fisher brand made by many suppliers 7591s. This unit was functioning recently so should not need much diagnosed before refurbishment. No obvious blown caps or damaged resistors. Inside the receiver is actually very clean. Below are a bunch of shots during inspection. I will take before and afters of each section and if you have questions leave them in the comments below.